DULUTH, Ga. – A jury found one defendants guilty and two not guilty of murder in a deadly Duluth home invasion. James Stokes, Devon Jenkins and Pierre Scott faced numerous charges in connection with the August 2014 attack. Adam Schrier was murdered and his wife and 9-year-old child were shot in the home invasion. DULUTH, Ga — Fire crews are investigating after a body was found inside a burned Gwinnett County apartment Tuesday afternoon. TOLEDO, Ohio (AP) -- A federal judge has refused to release an Ohio native pending trial on allegations that he and three others sent money to a prominent al-Qaida leader. A judge in Toledo, Ohio, on Friday rejected the defense's proposal that Asif Ahmed Salim be put on home detention and stay with family in Duluth, Georgia, near Atlanta, instead of remaining behind bars. His current attorney didn't immediately respond to a message seeking comment. Prosecutors had argued that the former Ohio State University student spent the last four years living outside the United States and said he is a flight risk. Salim's attorneys have denied his involvement in what prosecutors say was an effort to raise money for an al-Qaida leader linked to the planning of several attacks against American interests. WALTON COUNTY, Ga. – Authorities say a woman lied to investigators about the case of a teen missing for eight years. Walton County’s assistant district attorney confirmed that Thelma Ruth Ballew was indicted on a charge of making a false statement. Ballew allegedly lied to a captain in the Walton County Sheriff's office when she told them she was there when someone disposed Gaines' body. 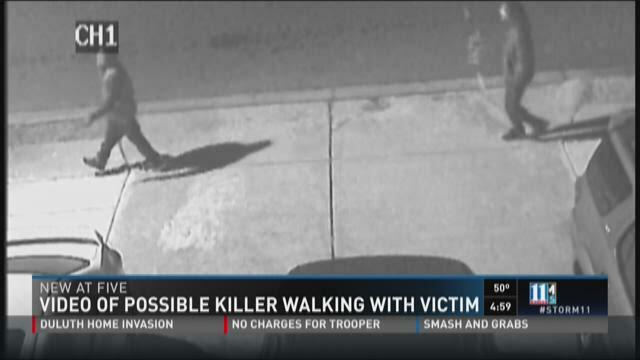 Authorities launched a massive search this summer for Gaines' body based in part on her statements. Gaines vanished eight years ago after a night out in Duluth. ATLANTA (AP) - Police say a woman in charge of Bobbi Kristina Brown's care at the hospice where she died was impersonating a nurse and faces charges that include identity fraud and nursing without a license. A Duluth police report obtained Tuesday by The Associated Press states that detectives have documents showing Taiwo Sobamowo cared for Brown at Peachtree Christian Hospice outside Atlanta. The report describes Sobamowo as the nurse in charge of caring for Brown, the only daughter of Bobby Brown and the late Whitney Houston. There is nothing in the report that mentions how Brown's care might have been affected. The 22-year-old Brown died at Peachtree Christian on July 26 after she was found face-down in the bathtub of her Roswell home Jan. 31. Sobamowo was arrested in North Carolina. 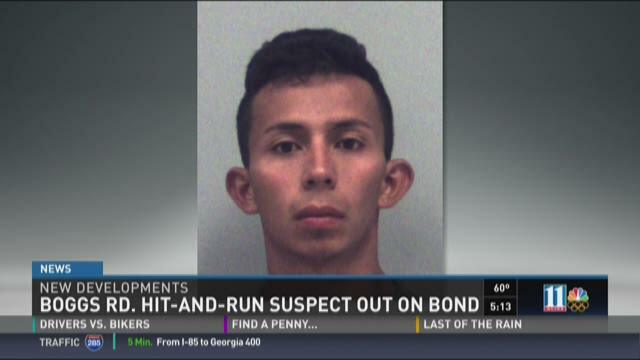 DULUTH, Ga. -- After Gwinnett County police arrested the driver accused of hitting a young father on Boggs Road Monday night, he is now out on bond.